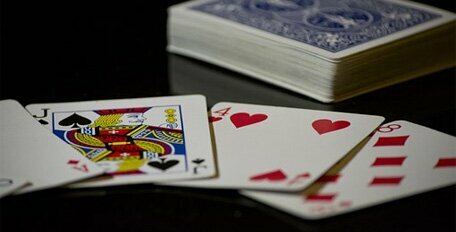 Blackjack, is considered to be the most exciting and popular table game available. Its growth in popularity and ability to attract players worldwide stems from the fact that it is an easy game to play and learn. The main aim is to get a hand with a value as close to 21 as possible without going over. A hand that goes over 21 is bust. If you would like to join the game, all you have to do is sit down at an open seat and place a bet in the small marked area. Make sure that you are aware of the correct blackjack etiquette. 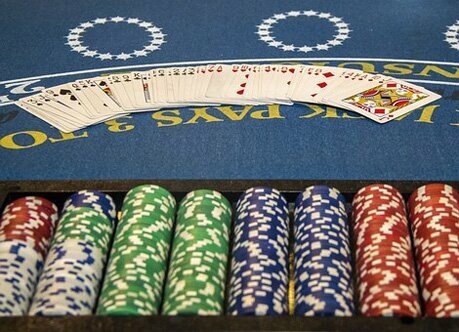 It is important to note that players at a blackjack table do not play against each other, they play against the dealer. 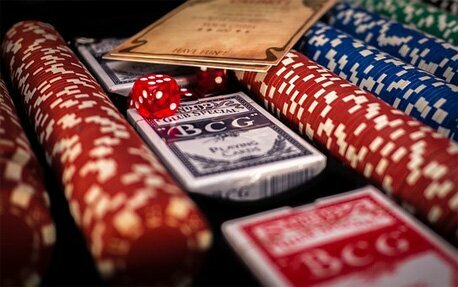 The following information explains the basic rules of standard blackjack along with the rules commonly used in casinos. Since there are plenty of variations, make sure you check before playing. There is also a Swedish Blackjack which can be played in land-based casino in Stockholm. Lose – the player’s bet is taken by the dealer. Blackjack – the player wins 1.5 times the bet. With a bet of 10, you keep your 10 and win a further 15 from the dealer. Push – the hand is a draw. The player keeps his bet, neither winning nor losing money. All cards from 2 to 10 are valued based on the number that appears on the card. The Jacks, Queens and Kings, each have a value of 10. The ‘Ace‘, is unique, it is the only card that has two values. It can be counted as either an 11 or 1, depending on the combination of cards the player is holding. Before the game starts, the player and the dealer receive two cards each. One of the cards is face down, unless you are playing ‘Double Exposure‘, a variation of Blackjack. This face down card is called the Hole Card while the face up card is known as the Up Card. Once the cards are dealt, your job is to study them to determine the way to reach your objective. The first a player has to do is decide if s/he wants to take advantage of the side rules. S/he can either choose to stand or hit, one at a time, until either the player judges that the hand is strong enough to go against the dealer or until it goes over 21. If a dealer doesn’t have 21, s/he hits or stands depending on the value of the hand. On the other hand, the dealer’s action are completely dictated by the rules. If the dealer goes bust, all players who are left in the game win. If not, players with high points than the dealer win, while players with lower totals lose. Always keep in mind that a blackjack hand beats any other hand, even those with a total value of 21 but with more cards. Remember to be smart and play safe! These are the basics of blackjack! Do you like this game? Do you find it exciting? The rules we have covered here are the purest form of blackjack rules yet it is important to keep in mind that there are different variations of blackjack. Before playing, always check the variation and the rules!